Origin of Aloevera: Aloe Vera also called the Plant of Immortality by the ancient Egyptians, is used for its healing properties since time immemorial. Aloe Vera plants are commonly found in the African regions and belong to the family of Xanthorrhoeaceae, known for its succulent or fleshy leaves. This nontoxic plant stores water in its leaves and survives in low rainfall and arid regions. Aloe Vera leaf looks unique; it doesn’t have any stems and the edges of leaves have tiny spikes. 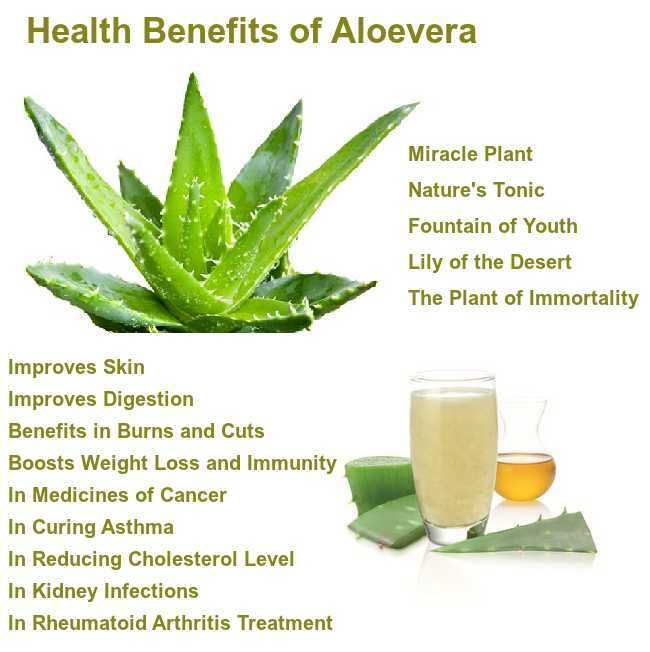 Let’s see some of the amazing health benefits of Aloe Vera here on this page. Aloevera is sold as gel, powder and juice. You can also make fresh aloe juice at home by cutting the leaf and extracting the aloe gel from it. There are different species of the aloe plant, but Aloe Barbadensis Mill is the most popular and widely used variety of aloe vera. The scientific epithet ‘vera’ means true and genuine. So aloe vera derived from the plant will have a tangible impact on the health, hair and skin. You can see your skin glow after using aloe vera, and a glowing skin reflects good health. 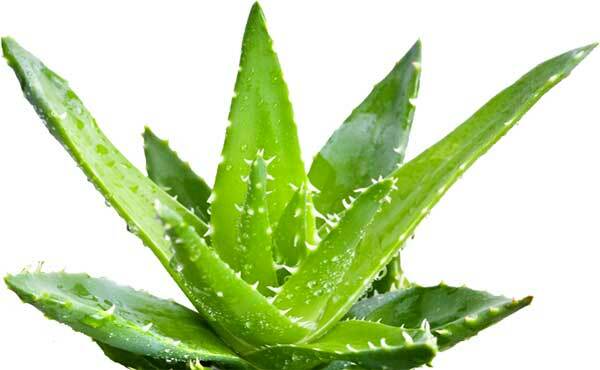 Though aloe vera leaves a bitter taste in the mouth when consumed, its inclusion is essential in your diet. Aloe vera benefits are well known to everyone and it is used as a healing herbal remedy since ancient times. This plant has taken a permanent place in many houses due to its healing powers for your skin, hair and health. Aloe Vera is extensively used in beauty products as it has antiviral and antibacterial properties, and the ability to help treat everything from constipation, sunburn bad acne or diabetes. Due to this in Egyptians also called it “The Plant of Immortality”. Aloe Vera is a succulent plant and stores water in its leaves, which are thick and fleshy. The leaves produce two substances: the gel, which is more or less water with several other nutrients, and the sap, which is also known as aloe latex. For Skin, Aloe Vera soap and gel come loaded with several nutrients like glycerin, sodium palmate, sodium carbonate, sodium palm kemelate, sorbitol, etc. These are good for the skin and nourish your skin from within, giving you the skin that glows with health. It has shown miraculous effects on the oily and acne-prone skin. Also, it helps in preventing these early signs of ageing. The aloe gel can work wonders on your skin by reducing acne and clearing the blemishes and scars that get left behind. 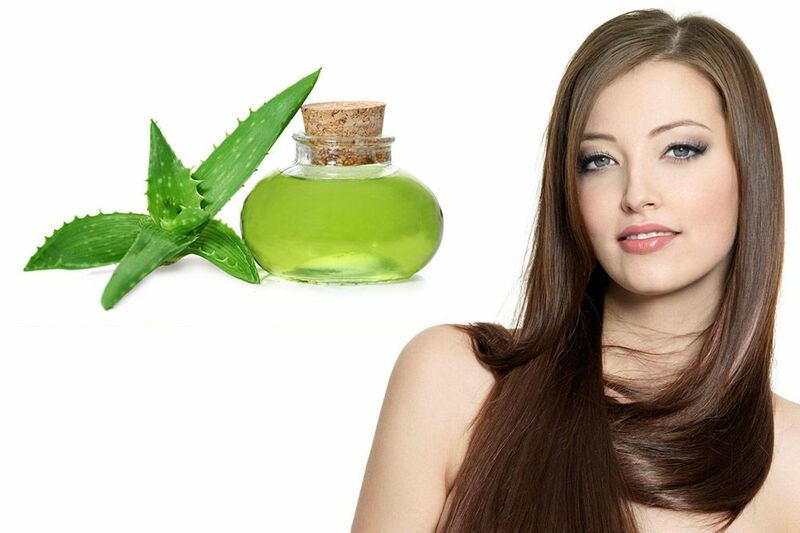 Aloe Vera may help activate new hair growth by increasing the blood circulation to the scalp and delivering several important vitamins and minerals. It contains proteolytic enzymes which repair dead skin cells on the scalp. Nature’s Soothing Healer, the main protein in hair (keratin) has a chemical makeup similar to that of Aloe Vera, which means this healing gel rejuvenates hair while giving it more elasticity. By improving elasticity, you will prevent breakage of the delicate hair strands, which is key when trying to grow out your locks. Aloe Vera contains something called proteolytic enzymes which repairs dead skin cells on the scalp. It also acts as a great conditioner and leaves your hair all smooth and shiny. It promotes hair growth, prevents itching on the scalp, reduces dandruff and conditions your hair. Do you know, consuming a glass of aloe juice once a day could give you flawless, healthy skin? It may be awful as it may taste, the effects of drinking just one glass of juice will have immediate effects on your skin, as Aloe Vera contains collagen, which prevents ageing and repairs skin. Aloe Vera has been especially helpful of patients with severe and various skin diseases. It treats constipation and helps in digestion. One spoonful of Aloe gel could help solve your constipation troubles. This bitter gel is also great for burns and cuts. Since it takes a time to digest, it uses up energy and helps aid weight loss. The juice of aloe vera regulates the immune system of the body and also helps in detoxification as it has essential anti-oxidants. Aloe vera is widely used in the cosmetics and alternative medicine industries, being marketed as variously having rejuvenating, healing, or soothing properties. Used as a home remedy for asthma, boil some Aloe Vera leaves in a pan of water and breathe the vapor. It is great for maintaining the cholesterol level by reducing triglycerides. Include fresh Aloe juice in your daily diet to maintain your cholesterol level and increase the level of good cholesterol.By reducing cholesterol you are protecting your heart from damage. In the Philippines, it is used with milk for kidney infections. Having aloe juice for two weeks can help reduce inflammation in the body like rheumatism, inflammation of ears and eyes and arthritis. How do I make the juice for diabetes? I also have fibromyalgia which this aloe will also help. I rather use plants that are natural than use any medicines. Thank you.